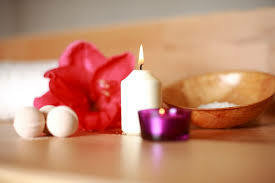 Massage may be a good strategy for reducing the negative impact of stress. Virtually every symptom of stress can benefit from massage, from lowering the heart rate, to relaxing the muscles, to the releasing of endorphins. In addition to stress relief, a massage may help to reduce pain, increase energy, and may have a positive impact on overall physical and mental performance. Many businesses, hospitals and clinics, and I have noticed, even airports, offer massage therapy to employees, patients, customers, and travelers. Some people claim they seek a massage, because it can create feelings of comfort and caring. There are many other benefits to massage than just stress management and tension release. Massage increases blood flow and oxygen to tissues, increases flexibility, alleviates headaches, and may even boost the immune system. If you don’t feel comfortable with people touching you, consider self-massage techniques such as massaging your neck, shoulders, or feet. Massage is just one of many remedies for reducing stress.